Let's face it, the end of the year is CRAZY! 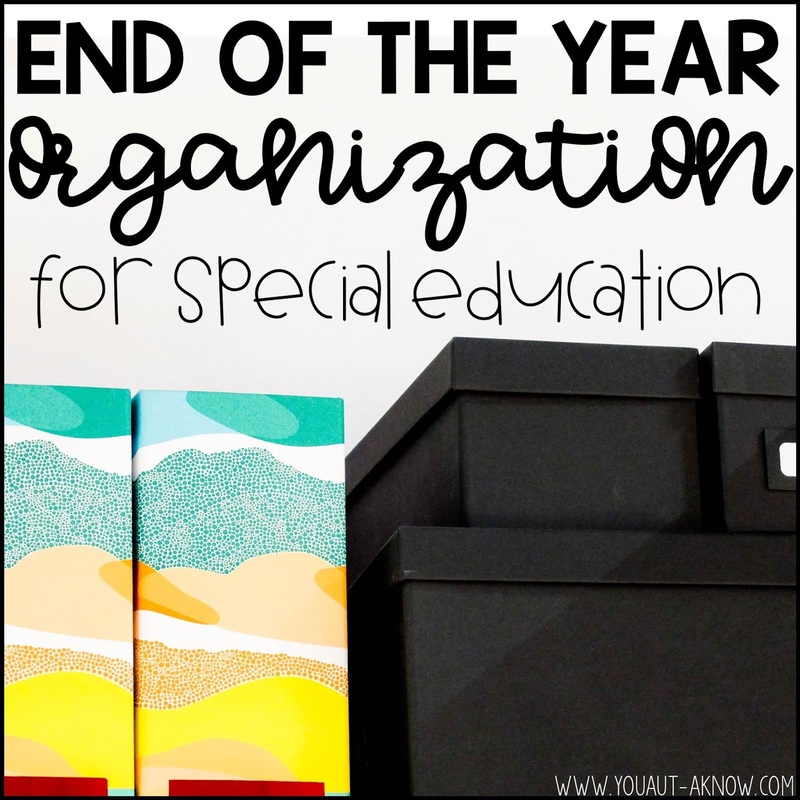 The last thing I really want to think about is organization at the end of the school year. I've been trying to keep it together all year, you're probably ready to shove everything in my cabinet, throw your hands in the air, and leave for the next 2 months. 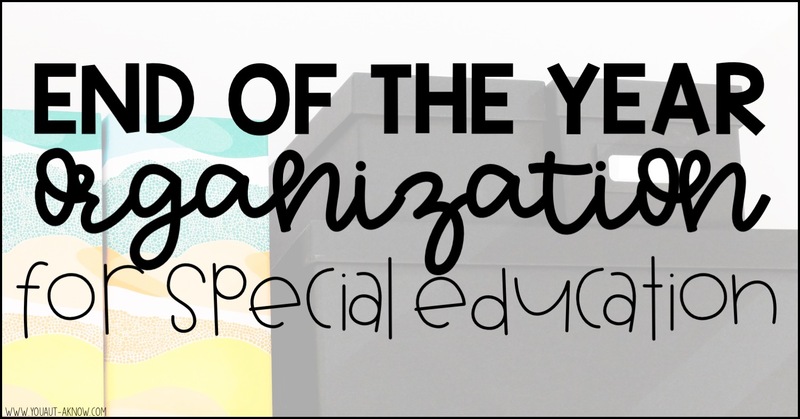 I know I've felt that way when the end of the school year draws near, but I've realized that having an organization plan for the end of the year not only closes out this school year nicely, but it also helps me prepare for the next school year before it even starts. These four quick tips are going to help you do just that. These are the tried and true tips I use to make sure this school year is wrapped up neatly and I'm ready to get up and go for the next school year. 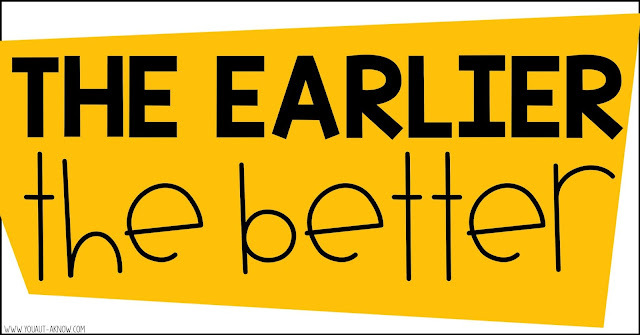 The earlier you can get started, the better. I started packing up as soon as our Spring Open House was over. I started taking art projects down off the wall and sending them home. I started cleaning out files of things I have been holding on to and sending home what I don't need. I also take this time to make sure I'm putting away all of my seasonal tasks and activities that I still have out. I keep all of my seasonal tasks and activities in either my file cabinet (for flat items) or mostly boxes. As I find things that we have finished using for this school year I tuck them away into their designated space and say goodbye until next year. Getting my student files organized is a must do as I close out the school year. 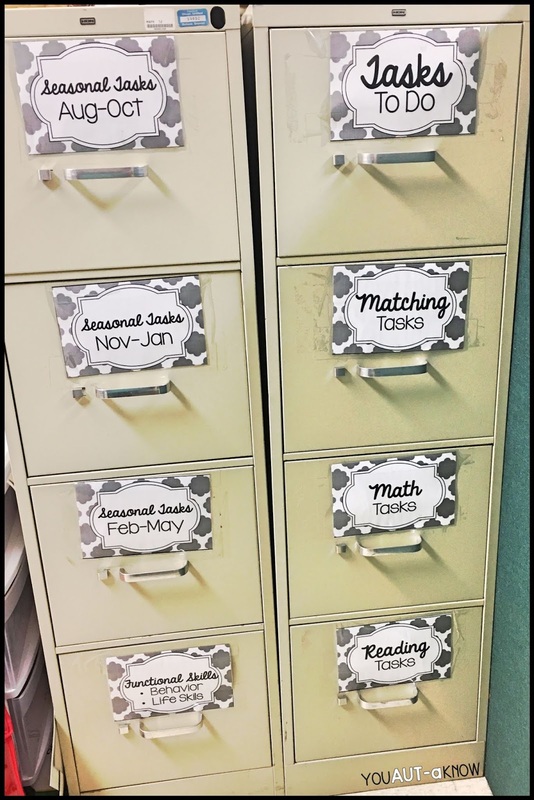 I am a big list maker, so putting my students names or initials on the board and erasing them as their files are completed and updated helps me complete the task. 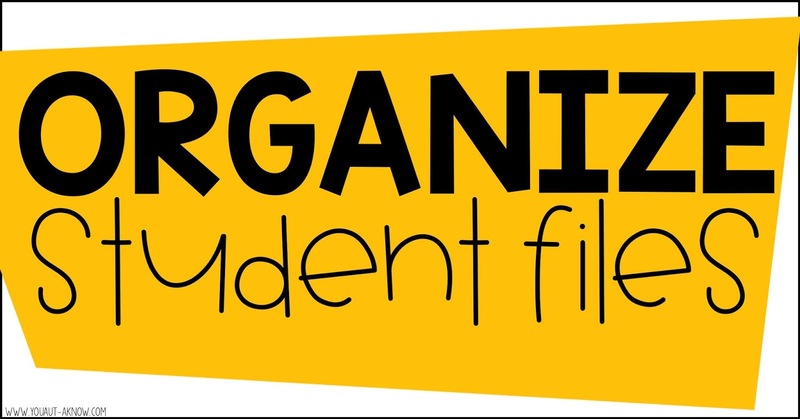 When I'm organizing student files there are 2 things I make sure to get done before the school year wraps up. First, I update all of my data collection files. Second, I organize information for students that will be "graduating" from my classroom. To update my data collection files, I go through and make sure all of my data mastery sheets are updated and my curriculum inventories reflect the lessons my students have completed. I toss any daily data collection sheets I no longer need (this data is now accounted for on my data mastery sheets). 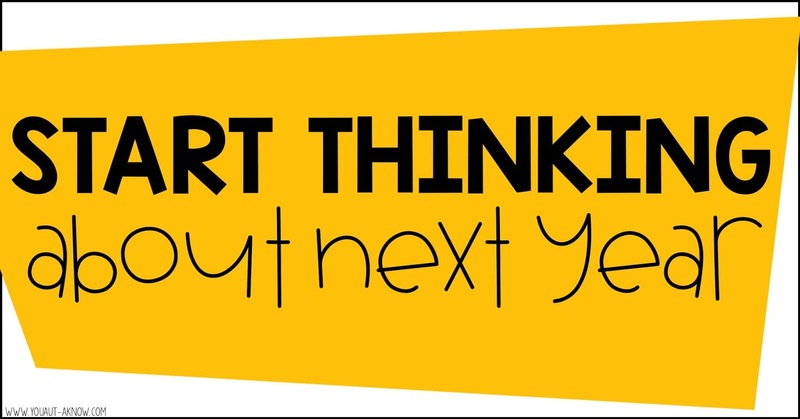 I also take some time to close out any lessons that I can before the end of the school year. 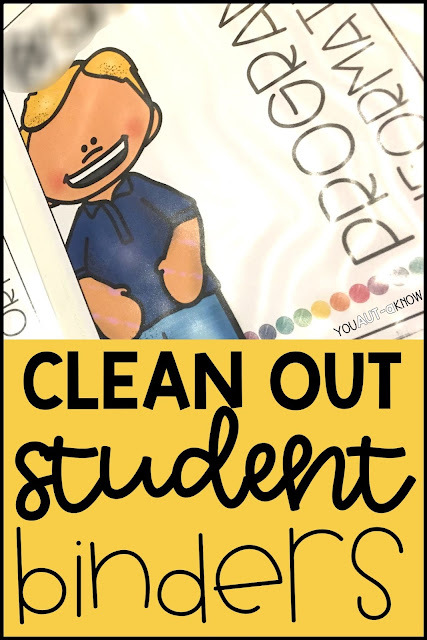 In order to prepare for students who are moving on next year, I have a system I have used for years that works well for me. I make my way down to our copy room or barter with our custodian to get a box for each student. We have a lot of empty copy paper boxes on campus that usually work perfectly. I label each box for each of my students that are moving on and as I finish updating their files, I toss them in their box along with any behavior supports, social stories, personalized items that we use for the student. That way when the year is over I am able to take the boxes to their new teachers and they are ready to go when the school year starts. I also empty the student's file in my cabinet and bind them together with a rubber band to send to their new teacher. Remember how I said organizing at the end of the school year should get you ready to go for the upcoming school year? It's important to start thinking about next school year. What are staples in your classroom that you need and use regularly? At this time of year I start making my back to school copies and tuck them away in a safe filing spot. 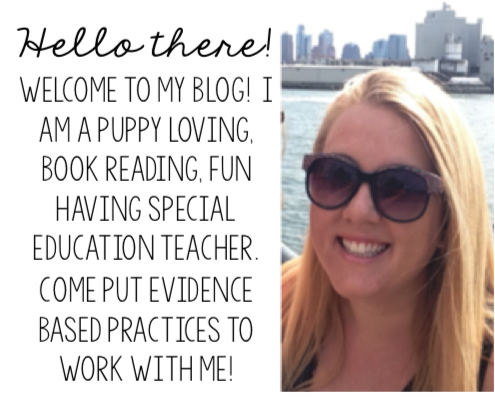 Here's what I start copying because I KNOW I'm going to need it next year: welcome/introduction letter, data collection sheets, visual schedule icons, PECS icons, reinforcement inventories. Seriously, if I can do it now, I'm doing it! I also take this time to designate a space in my classroom where I'm going to put all the things that I NEED as soon as I get back in my classroom in the Fall. My time timer, my schedule icons, etc. All of those must haves for my classroom go in one designated spot. That way when I come back refreshed and recharged in August I know exactly where to find the materials I need to get up and running in a flash (red file cabinet, top drawer; see it's easy to remember!). It's no secret that #teachersneedvisualstoo and checklists are a favorite teacher visual. I love making a checklist on my whiteboard of those things that need to get done. Then I can erase things as they're completed. And lets be real, who doesn't love the feeling of checking items off of a to do list? It's pretty reinforcing, isn't it? 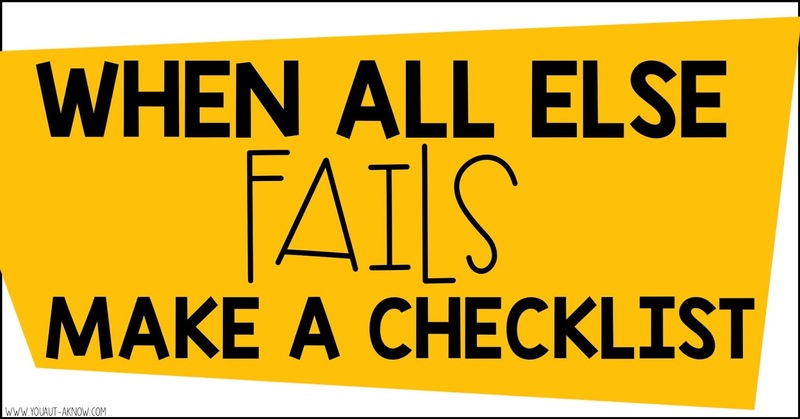 Creating checklists is a great motivator to #doallthethings to wrap up your school year and start preparing for a new one.